Professional cheerleaders are now recognized by California law as “employees,” entitled to minimum wages and overtime pay. It also provides them with sick leave, meal breaks and a host of other labor protections that are available to the team and other staffers. Now, instead of classifying them as “independent contractors,” they are deemed “employees,” with all the rights and benefits that title affords. The legislation that changed their status, AB202, was signed by Gov. Jerry Brown after being introduced by Assemblywoman Lorena Gonzalez. She was motivated by a wage-and-hour lawsuit filed by the Oakland Raiderette cheerleaders. Gonzalez said short-changing women in any profession should not be tolerated, and cheerleaders were being treated as glorified volunteers. 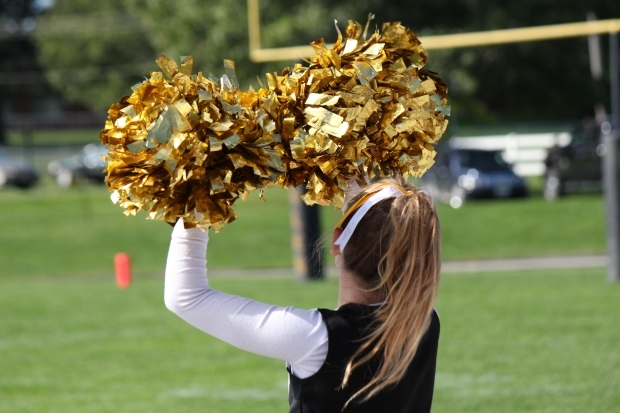 This was despite the long hours, extensive control the team had over almost every aspect of cheerleaders’ lives and the fines that were levied for minor infractions, such as gaining more than four pounds or forgetting to bring pom-poms to practice. In an ESPN.com feature published shortly after the lawsuit was filed, it detailed the fact that cheerleaders were required to pay for their own personal care, which had to be very specific. The team would provide each cheerleader with a picture of a celebrity “look-alike,” and require them to maintain that exact hairstyle, hair color, makeup, skin color – all by going only to salons approved by the team. They would have to keep fake eyelashes on at all times, and they often had to pay their own travel expenses. They were given a “playbook” that covered everything from the correct way to fold a dinner napkin to how to turn down the advances of a married football player. They were required not just to work nine-hour games and thrice-weekly practices, but attend photo shoots, charity events and dozens of public appearances. At the end of the season, it was all paid out in a lump sum, ranging somewhere between $1,250 to $3,000. However, many say it wasn’t uncommon after all expenses and fines to walk away at the end of the season with nothing. Even for those who did walk away with a paycheck, that lump sum payment typically amounted to less than $5 hourly, and didn’t include the many hours they were required to spend at public events. While players made close to six figures, cheerleaders have been effectively treated as “borrowed college students,” even though many are adults and some have families. That employment lawsuit last year ended in a $1.25 million settlement agreement. That may seem like a nice chunk, but remember, we’re talking about a multi-billion dollar sports team. Plus, the settlement agreement was divided among 90 members of the cheer squad. Last year, cheerleaders for Florida’s Tampa Bay Buccaneers also received a similar settlement. Additionally, similar legislation is currently pending in New York. However, there is no national standard for the pay of cheerleaders. A spokesperson for the National Football League has sidestepped the issue, saying the league isn’t responsible for management of cheerleaders’ employment. The league does, however, expect teams to abide by applicable state and federal employment statutes. The new law, which becomes effective in January 2016, extends not just to NFL cheerleaders, but also those working for all professional sports teams at the minor and major league levels in California. It won’t apply to performers who only appear once annually and/or aren’t affiliated with the team.